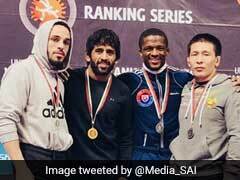 London Olympic bronze medallist Yogeshwar Dutt, who represented the Haryana franchise last year, in all probability, will not be a part of Pro Wrestling League, starting December 15, as his wedding is scheduled in January next year. 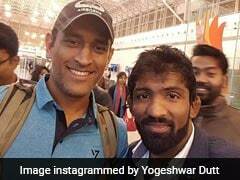 With Sushil Kumar chances of participating in the second season of the Pro Wrestling League (PWL) next to nil, another star India wrestler Yogeshwar Dutt is also likely to opt out of the upcoming event taking the sheen away from the tournament. London Olympic bronze medallist, who represented the Haryana franchise last year, in all probability, will not be a part of the League, starting December 15, as his wedding is scheduled in January next year. "It is very difficult for me to be a part of PWL as the League will take place in December and my wedding is in January. Although I have still not ruled it out completely, it seems unlikely," Yogeshwar told PTI. Asked if he is fit and has been training regularly, Yogeshwar said: "Yes, I am fit and train everyday. It is only because of the fact that my wedding date so near to the competition that it might be a little difficult for me to be a part of the League." 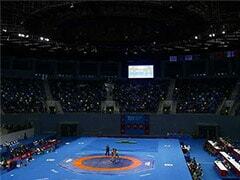 In the inaugural edition of the PWL last year, 33-year-old grappler was ruled out mid way into the tournament after sustaining an injury, but he did well in the initial rounds to ensure that his team made it to the final, where Haryana lost to Mumbai. Even the sources in the PWL organising committee on Thursday claimed that Yogeshwar was not likely to take part in the competition, though they were still in talks with him. "Because of his wedding, Yogeshwar may not be able to take part in the competition but we are in talks with him and are trying our best to bring him on board as he is one of the most popular wrestlers in the country," a source claimed. Yogeshwar was last seen in action at the Rio Olympic Games, where he crashed out of the tournament after losing his qualification bout in the men's 65kg freestyle category. Touted as one of the strongest medal prospects for India, Yogeshwar looked a pale shadow of his previous gritty self as he lost in the initial round of his weight division at the Rio Games. Meanwhile, India's double-Olympic medallist Sushil is in talks with the top officials of WWE and other professional leagues across the world with an aim to move into professional wrestling. Although, he also hasn't ruled out becoming a part of PWL but he is on the verge of bidding goodbye to amateur arena. 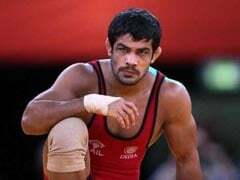 Thus, Sushil's participation is in PWL 2 can also be effectively ruled out. Another big name in Indian wrestling -- Narsingh Yadav --who is serving a four-year ban, which was imposed on him by World Anti-Doping Agency (WADA) after he tested positive for banned substance and failed to proved his innocence, will also be missing from the mat.